A group of libertarian Czechs has planted a flag on a small patch of no-man's land between Croatia and Serbia and declared it the world's newest state. Vit Jedlicka is the president of Liberland. No one elected him. He made up the job and gave it to himself. Just like he and his friends made up the country of Liberland. It's an actual place. It's located on a seven-square-kilometre piece of no-man's land on the Danube River, between Croatia and Serbia. And, a few days ago, the group of Czech libertarians raised a flag there and declared it a sovereign state. "It is a piece of land which was not claimed by anybody for 24 years," Jedlicka explains to As It Happens host Carol Off. "According to international law, you can go and take a place that nobody wants and that's exactly what we did." 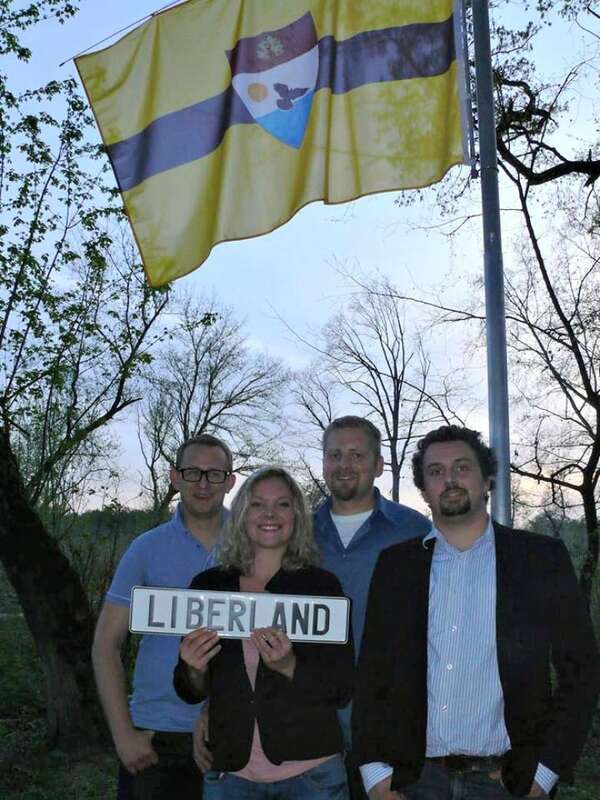 Liberland will essentially be a tax haven. Citzens will only pay taxes voluntarily. There will be minimal government. And, of course, minimal services. There will be a constitution and elections. But elected officials will not be paid. The Liberlanders planted their flag on the territory just a few days ago. Already, 260,000 people have applied online to become citizens. "We are definitely the busiest immigration office in the world," says Jedlicka. So far, only one country has recognized Liberland -- Sudan. But Jedlicka is confident that others will eventually follow suit. "It's not a normal situation if somebody recognizes you in hour after you've set up a nation," he says. "But I hope we will get recognition soon from countries which will like our idea, which are also tax havens."